• Toons brought in under the impression of raiding will be designated with [Raid]. These toons are understood to be "mains". Only toons designated with [Raid] will have a guaranteed raiding spot every raid night. • Egos and lives are expected to be checked at the door. Everyone knows how badass you are, and that's why we love you. But everyone always has room for improvement. Elitist attitudes and comments are unnecessary. Had a bad day at work? Don't take it out on the raid team, or raid lead. It could lead to raid removal or other, more severe consequences. • Raiders "rage quitting" or "rage /gquit" or quitting the team for any reason, are subject to Officer/GM approval to return. Progression can be frustrating, and sometimes it feels like repeated bashing of one's head against a brick wall, but taking off on your team when things get hard, or frustrating, or difficult, isn't a mentality that Warrior Sanctum supports. Please keep in mind that quitting is very different from a break or hiatus. • This goes without saying. Raiders are expected to be online and active on their raiding toon. Activity lapses of 10+ days will result in the immediate probationary designation of [Raid Alt] as well as a written warning through in-game mail from either a GM or Officer. The only exception of this is if a situation has been discussed prior with a GM or officer..
You have been flagged for an activity lapse of 10+ days. This has resulted in your demotion to [Raid - Alt]. To secure your spot on our raid team, please respond within 72 hours. In the event of no response your toon will be demoted to [Casual] and your spot reopened to be filled. • Raiders are expected to work to maintain their item level, as well as progress beyond the raid nights. This maintenance includes world quests, class hall quests, artifact progression, as well as completing current-content LFR's weekly as long as low item levels can be replaced. • Raiders are also expected to maintain/obtain gear according to their stat priorities. Icy Veins and WoWHead will become your best friend if you have any trouble knowing your best gear/stats. We highly recommend using it! • Every raider is expected to raid every raid night, but we understand that things come up. Sickness happens, emergencies arise and computers crash. This makes raid-signups handy for knowing when these things happen. Sign-ups for Raid Nights are mandatory. - Every raider that will be there are expected to fill out [Confirmed]. - Any raider who anticipate that may be late or delayed are expected to fill out [Tentative]. • **Any raider unable to make raid is expected to have a valid, legitimate excuse for their absence, as well as informing a Raid Lead or GM in advance through in-game mail only. In the event of an unforeseen emergency, please contact a GM or Officer at your earliest discretion. Repeated offenses of skipping/missing raid are covered under "Activity". **The only exception is being buffed by 8:30 p.m. server in the case of being in Group Finder for pug queues. Otherwise, if everyone is accounted for this is expected to be followed. • All raiders are expected to know fight mechanics prior to any raid. Homework of watching fights are supplied on the guild website and are mandatory for every raider. Those found in violation of this rule will be handled by the raid lead. Repeated violations could result in the suspension of a raid spot until TBD. 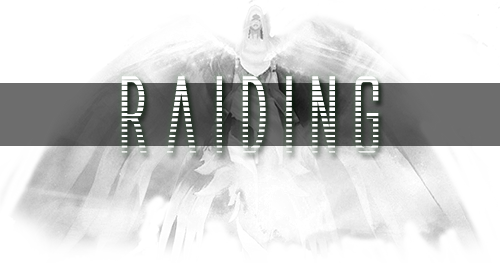 • Please remember: ANY raider unable to make raid is expected to have a valid, legitimate excuse for their absence, as well as informing a Raid Lead or GM in advance through in-game mail only. In the event of an unforeseen emergency, please contact a GM or Officer at your earliest discretion. Repeated offenses of skipping/missing raid are covered under "Activity". Gear roll rules will be done through personal loot. We want everyone to progress naturally and evenly, without contempt for other players who consistently win out on ML rolls. We don't believe in loot councils but in our team to help with progressing everyone as a whole. In the case of a "Tradable item" gear will be distributed through Main Spec (MS) only and distributed through priority of: BiS> Best Stats> ilvl upgrade. Yes, at Warrior Sanctum we host a Discord server for your enjoyment at no cost to you or ourselves! But with great awesomeness comes a few rules and general expectations. Click on the Discord banner to go to our forums and learn how to download and join our server! 1) Anyone found abusing this free guild service will have their IP banned and removed from guild. 2) Profanity can be and is often spoken here, proceed with caution. 3) Any vulgarity found to border on the common sense of "I probably shouldn't say this" will result in a warning and potential IP ban and guild removal. Here's a link to the mandatory and suggested add-ons for raiding with us as well as to make your time on WoW a bit easier to manage. 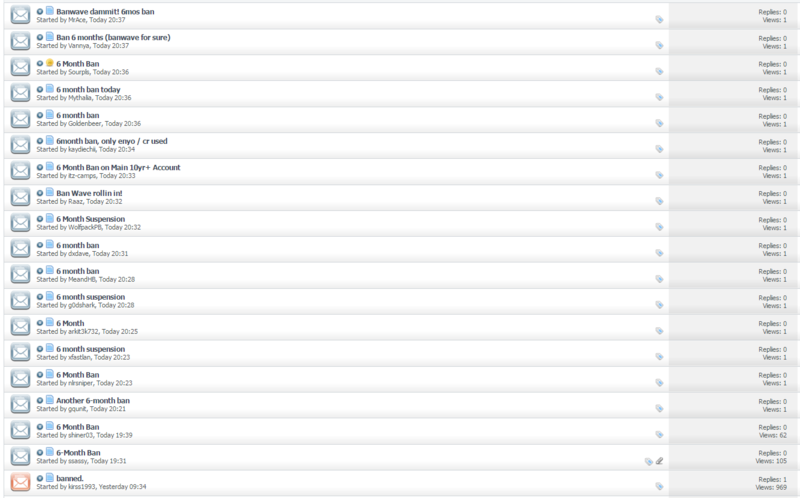 If you do not have an add-on client you can find our suggested one [here]. Click on the Add-On banner to go to our forums and see our mandatory/suggested add-ons!